Just over 2 months ago, Apple unveiled new smartphones that come to bring more technology to the brand’s fans. In an advert, the brand showed two models: the iPhone 8 and the iPhone X. The first is just an evolution of what we have seen in the past, but the second is to be the product that Apple so much idealized to revolutionize their family of iPhones. The iPhone X is to be a model that breaks the sameness in the line of design that Apple has been following until now. In the same trend of gadgets as Xiaomi Mi Mix and Samsung Galaxy S8, the new model of Apple has a gigantic display, which occupies the entire front space. 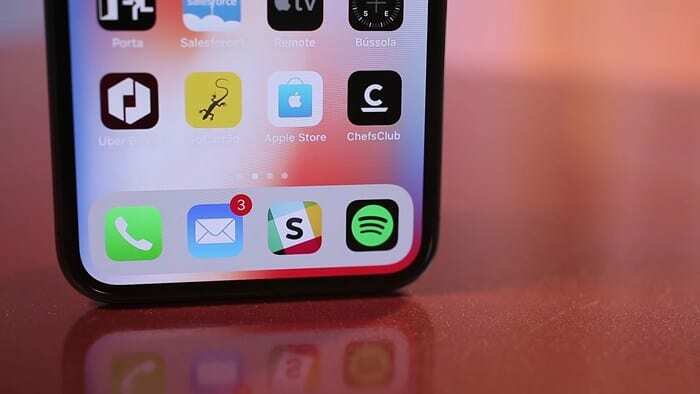 With the focus on OLED technology for the screen, the inclusion of new features such as wireless charging, the development of new forms of interaction and even with an even more powerful processor, Apple has made a real stir to bring innovations to its consumers. Do all the changes result in a perfect iPhone? Let’s check it out! It’s been some good years that Apple has not made any significant changes to the design of its coveted iPhone. From the point of view of consumer loyalty – as well as production – it makes a lot of sense to maintain a similar composition between the different models of the line. However, stagnation in the same look can be an inconvenience to the achievement of new users, especially as people have access to numerous brand and model options. As many manufacturers have realized, users are always looking for more modern and innovative proposals. Thus, Apple has worked on a distinctive design that draws attention to many aspects. Do you know those iPhone concepts that were out there and already impressed us? So the iPhone X is a lot more impressive than most people have imagined. It comes in silver or grey-space colours, with an impeccable finish. When you first pick up the device, you will soon realize that it has no front button, nor the digital sensor. Only these changes are already very significant since the brand proposes here a completely different experience. Could it not be possible to reallocate these components? 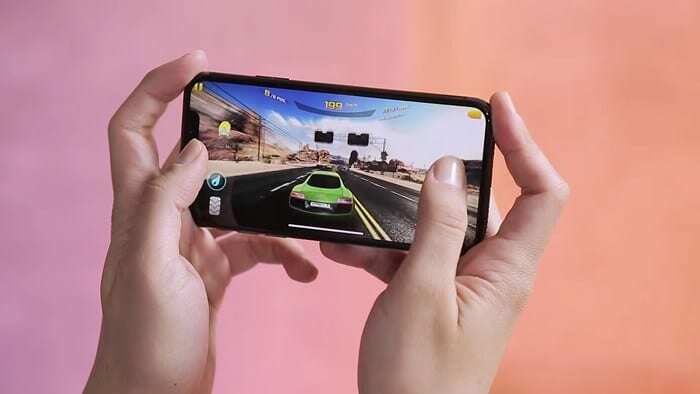 Apple preferred to adhere to the big screen that occupies the whole frontal space of the device, so there was no way to keep them in this region. In addition, it is clear that the brand did not see much advantage in pushing the button back, as this would greatly change the interaction and could be a problem for the user. And speaking in the back, it’s not much different from what we’ve seen on the iPhone 7 Plus and iPhone 8 Plus, except for the position of the cameras. The image components are now in a vertical array. In practice, it does not change much of anything, as they are still in the same corner, so anyone who already uses other iPhones should have no difficulty with that change. As usual, Apple continues with the glass coating, both front and back. This ensures a very comfortable footprint and helps a lot in the use of the screen. The novelty is that the material of the iPhone X is to be the toughest Apple has ever created, which should guarantee some reinforcement for the less careful. However, it is important to note that we are not yet talking about risk-free or break-proof technology. The continuous edges of the sides ensure a very charming composition and the buttons already common to the iPhone follow in their respective positions. Although the screen is huge, the implementation throughout the frontal space results in a smaller device, since there are no borders around the display. So, even with the large size, it is very easy to hold the iPhone X and use it for any activities. The speakers and the data connector (which also fits the headphones and recharge the battery) have not had their location altered, which again ensures familiarity with other iPhones. 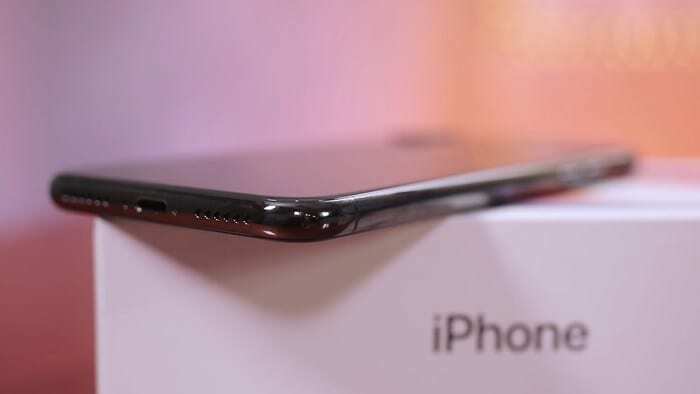 Of course, the bulging camera on the back still bothers a bit, but it’s almost impossible to get away from it without increasing the thickness of the device, something Apple certainly does not want in its top of the line. 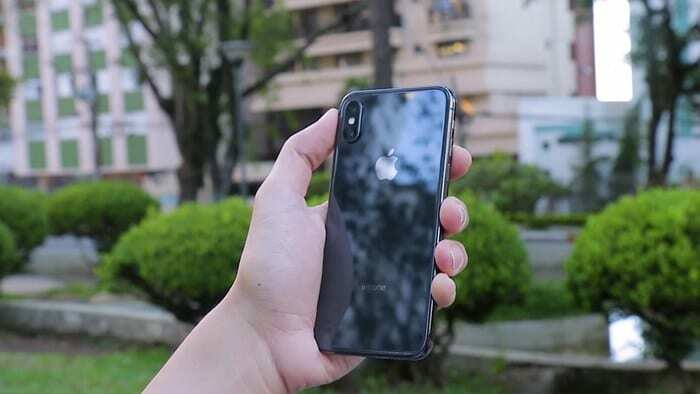 Like other recent iPhones, the X model comes with the IP67 certificate, meaning it can take up to 30 minutes of bathing in locations up to 1 meter deep without damage. In our tests with running water, we had no problems, so you should not be afraid of rain or accidents. Now, of course, all the magic happens when we turn on the iPhone X for the first time, and we can see the whole new Apple project in action. The screen of this model was very well thought out in every detail. In addition to being huge, it occupies the entire front and has rounded edges, which makes the look very similar to the Galaxy S8 or Mi Mix. Despite similarities with competitors, Apple innovates its way into its iPhone line and should surprise fans of the device. It is important to note that we are talking about the first screen with OLED technology on an iPhone, a screen that Apple says was specially designed for this model. Yes, it is true that other brands such as Samsung and Motorola have been using this kind of screen for some time, but Apple claims that so far it had nothing to do with its quality standard, because of the delay in deploying such a display in an iPhone. For many, this may sound like small talk, but when we notice the details in the playback of content on this display, it is clear that the iPhone X has fantastic quality. The colours are vibrant, which makes the images much more vivid. Also, it is noteworthy that the dark tones are deeper, which results in a remarkable contrast. In practice, we have here a new world of colours on an iPhone, something noticeable since the first use, when the icons look like 3D. Even the videos do not do justice to the quality of this display; so if you really want to understand the reason for compliments to such a component, I make a recommendation: try using an iPhone X. 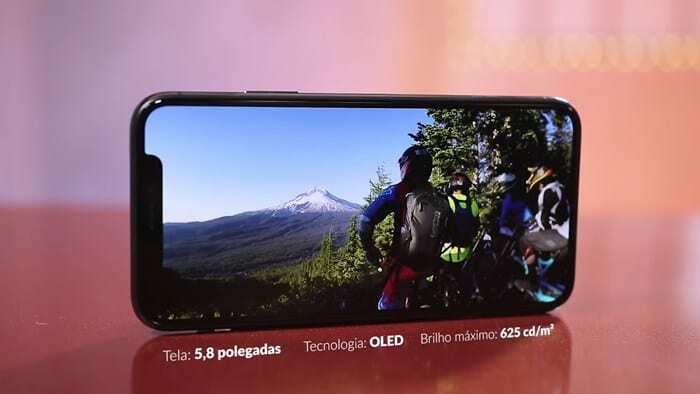 Like other devices of the brand, the display here also has True Tone technology, which adapts the colours and the brightness to the environment. Now, in terms of brightness, the iPhone X may not surprise consumers who already have a Galaxy or a Motorola with AMOLED, but it still delivers a balanced brightness, which ensures good perception of all colours on the screen. The OLED display of the iPhone X has a fine colour adjustment that impresses on videos and games! Of course, with the substantial changes in screen size, Apple was also forced to make changes in screen dimensions. 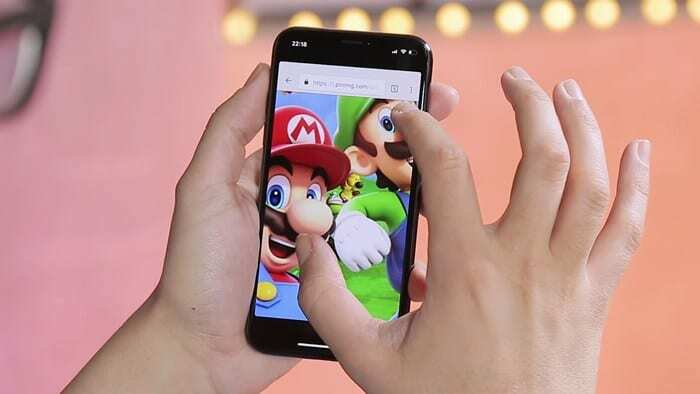 With the longer display, the ratio has changed to 19.5: 9, which can be a bit of a problem in some cases, as certain videos and games may not fully adapt to the available display space. It is undeniable that the quality of the Retina screens has always been impressive, so you surely must already imagine that the scheme on the iPhone X is even more flashy. The resolution in this model is 2436×1125 pixels, which guarantees definition of 458 pixels per inch. There are other branded handsets with Quad HD display, but this does not make Apple’s Super Retina be inferior. On the contrary, she is very expressive! When the subject is photography, nobody has the courage to criticize the cameras of the iPhone, because it has always been a reference in this segment. This is something that has not changed in the iPhone X, even more taking into account that Apple sought to deliver the perfect iPhone to its consumers in this edition. The two lenses on the back work together in various situations to create much more beautiful compositions. The wide-angle aperture in f / 1.8 is ideal for most scenarios and takes very clear pictures. The telephoto lens with f / 2.4 aperture is also very welcome, as it helps in optical zoom and blurry background images. By the way, speaking of focus, everything here is very fast thanks to the processor. Just click on the screen to have iPhone X adjust the image in a matter of milliseconds. Part of the secret of good photos is also in-depth sensor and facial mapping, which help you create blurry photos or pretend you’re in a studio. In short, ideal for selfish addicts. Although very effective in most cases, it is important to note that not everything is perfect. Portrait mode is still in beta, so some glitches are common in certain situations. Of course, no one takes a single selfie, so just repeat the process to get better results. Of course, a new iPhone with new dimensions and new interactions needs a new iOS. So Apple redesigned part of the system to include new features that make for a pleasurable experience with the iPhone X. It’s true, yes, that iOS 11 has changed somewhat to adapt to the iPhone that has no buttons, but everything seems even easier it’s practical. First, it’s worth noting that this is more or less the iOS you already know of today’s handsets, but it does have some punctual tricks – and new ones – that ensure fast navigation and a lot of detail. The new iOS fits the iPhone X’s screen, intelligently distributing the icons and taking advantage of the rounded corners for specific tasks. Samsung Galaxy Note 9 VS iPhone X: Which will Gain the Upper Hand? The control centre is in the upper right corner, while notifications can be accessed on the left. On the home screen, these spaces are used to show the clock and the connection data, WiFi and many others. In videos and games, this space can be used to display part of the content. 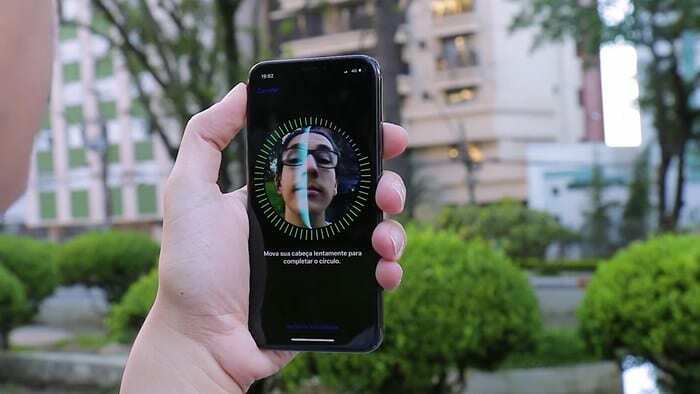 Now, taking the small adaptations, the big news of iOS 11 for iPhone X is Face ID, which changes the way of login and interaction. As the device does not have a biometric sensor, user recognition is done by the front camera. The iPhone X registers your face quickly and unlocks the screen in just 1 or 2 seconds. Already there are reports of people who have managed to circumvent Face ID in some ways, but we were quite satisfied with the performance and intelligence of this tool. It works in any environment and can be unlocked even in dark environments. Also, it does not matter much if you wear glasses or have a different hairstyle because she is very smart. Going back to the system in general, now every app has a little bar at the bottom, which is for you to minimize the programs and open other items. It makes things a lot easier, but it’s weird to see a full-screen video and have that element there -which can also get in the way of games and other apps. It’s not the end of the world, but it’s something that changes from the old iPhones to this new one. Well, do you want to access recent apps and switch tasks? So just pull your finger up and stop the motion in the middle. Siri is a little different, too. Now you can activate it by pressing the side button – the process is quick and intuitive! 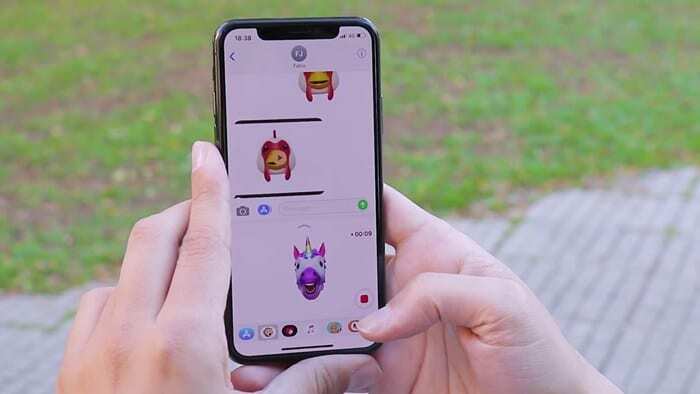 For users who like to play games, Apple has included animojis for you to use the Messaging app, and there are still augmented-reality apps coming. All this makes the iPhone X much more flashy and interesting for those who want more than a new design. 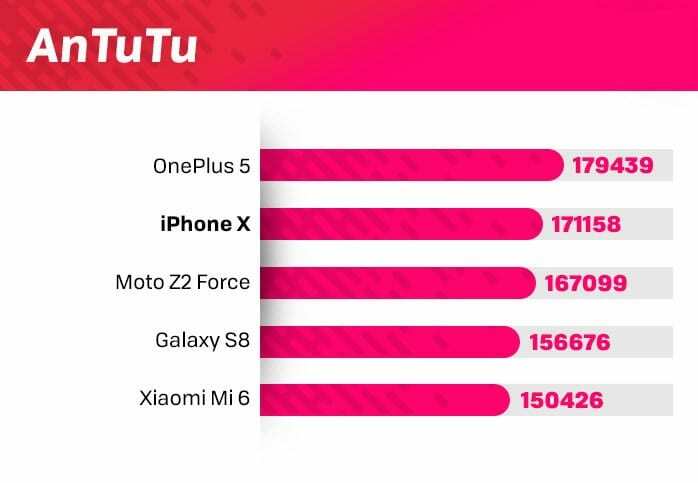 Like every top-of-the-line phone, iPhone X has unbeatable performance under no circumstances. Those who have used the iPhone know that this is always one of Apple’s priorities. Although the brand does not always get the highest scores on all benchmarks, it always difficult to deliver incredible performance on the system and apps. To bring innovation to the consumer who always seeks the best, Apple has developed a new processor for this phone. The new iPhone has an unprecedented chipset, comes with graphics chip designed by Apple itself. The Apple A11 Bionic has a six-core processor, which runs at 2.39 GHz. In practice, this means top performance for any situation. It has 4.3 billion transistors, and of course, all cores are faster than the Apple A10 Fusion. 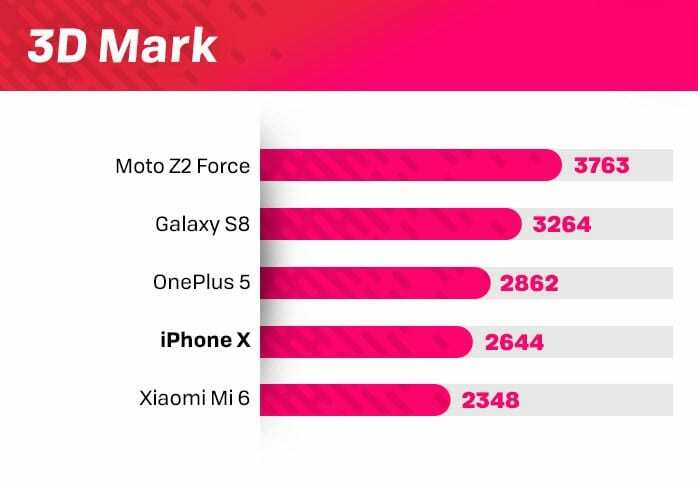 Now, incredible even are the good results of the benchmarks. Okay, again it’s worth reinforcing that he may not be the champ in every case, but the numbers show that he’s prepared for any stoppage and will not let you down at the time of the little games. Finally, to keep up with the processor, Apple included 3 GB of RAM, which gives a smooth account of multitasking. On the storage side, we have 64GB and 256GB versions. So, regarding performance, it’s clear that the new iPhone is a monster! In a matter of energy, the iPhone X may not be surprising for the capacity of the battery, which is only 2,716 mAh (yes, much less than you have ever seen in competing devices), but do not be fooled because it is very well used and has high autonomy. Even with less capacity than the iPhone 7 Plus, it can last almost all day. Of course, this always depends on its mode of use, but for playback of videos with WiFi, it can last for almost 10 hours. How is this possible? Well, the new processor saves a lot of energy. In addition, we have the question of the new screen. Although it is larger in size and has high resolution, which means higher power consumption in some cases, OLED technology helps a lot to save resources in other situations. If you see too many videos on YouTube, the sidebars shrink the playback size, saving you some battery power. Otherwise, this screen can completely erase the pixels in black, which also results in a longer range. Another novelty is that the iPhone X is compatible with the wireless charger. Finally, right? Finally, we still have a powerful sound on the iPhone X. Of course audio plays a very important role when it comes to games and movies, so knowing that Apple has developed an immersive sound system that makes the sound almost 3D. It really has serious and makes you head to the games and movies. Anyway, after all this, we have to say the obvious: the iPhone X is the best phone that Apple has ever developed. 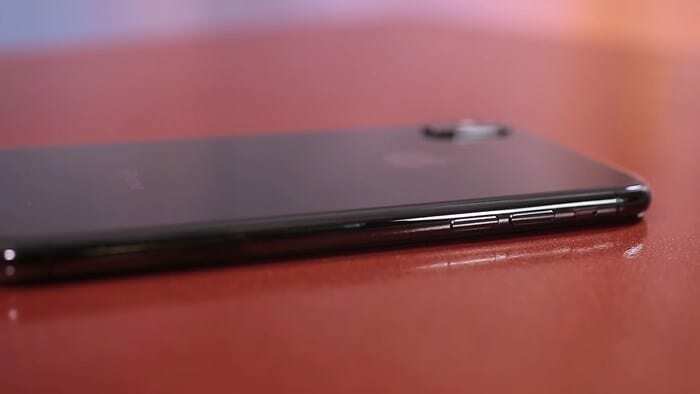 No, it’s not perfect, but it’s really amazing in a number of ways and, despite having a number of technologies we’ve seen on other competing devices, it brings a lot of innovation to the brand’s fans, that is, things unheard of on an iPhone. 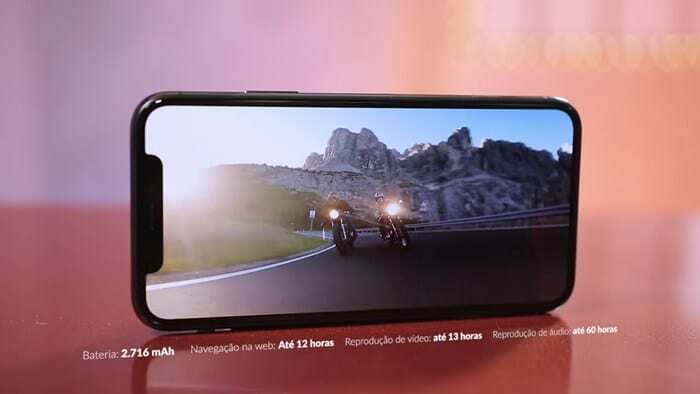 We were quite pleased with the quality of construction, the new design, the giant screen with fantastic colouring, the new experiences of iOS, the photos and of course with the iPhone performance provided by the Bionic A11 processor. As always, Apple does a very thorough job and delivers many new features. Now, we have the bad news, which you certainly were already waiting to receive throughout the article. 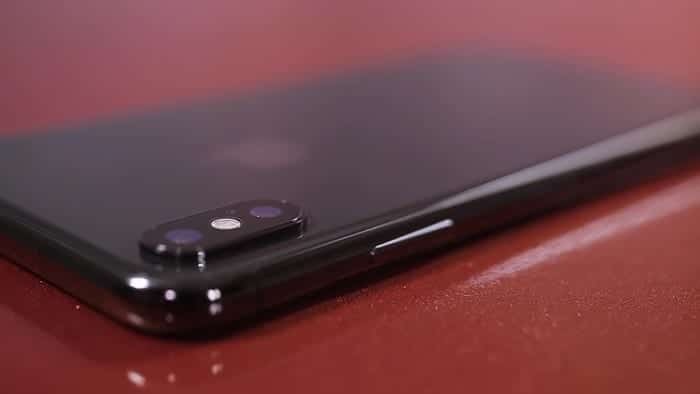 Of course, an iPhone can only be sold for the price of iPhone, so if you are interested in buying, you can already prepare to invest $ 999 in the 64 GB version or $ 1,149 in the 256 GB version. Is it worth it? No, it’s not worth it. No smartphone in the world is worth that price. In some country, the iPhone X costs $ 1,000, which is already quite high even for US consumers. Logically, the ideal would be a price close to $ 1,500, but hardly see adjustments in that amount. 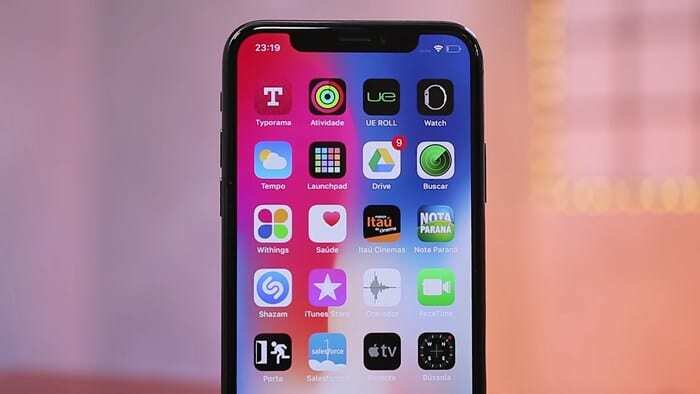 So, even being a fantastic smartphone in every way, we can not recommend it, even for those who seek a lot of luxury and status, since other devices as innovative as the iPhone X can be purchased for much lower prices. 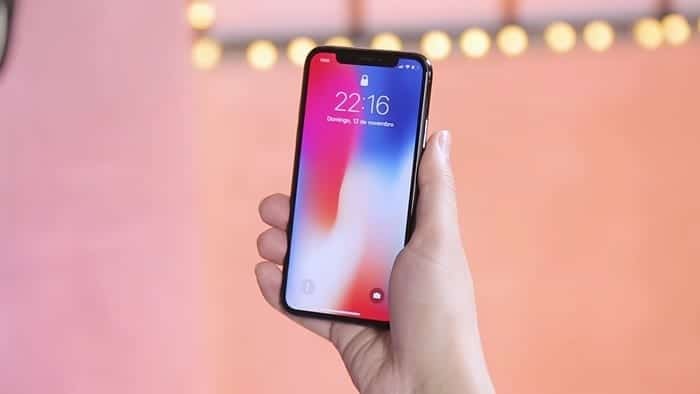 Now, if you are an iPhone fan and money is not a problem, then this model may be the ideal request for you to try out a new iOS. But the only setback to me about this device is that it is costly to afford and not meant for the ordinary men and I don’t like such devices.